Follow Prospect Hill Cemetery on Twitter. Click on our Follow Us button below or when on Twitter find us at ProspectHillack. Jascin Leonardo Finger, curator of the Mitchell House at the Nantucket Maria Mitchell Association wrote a review of Tuck’t In: A Walking Tour of Historic Prospect Hill Cemetery Nantucket, MA in her blog posted on Maria Mitchell's Attic on the Maria Mitchell Associaiton website and posted on Jascin's TUMBLR blog “Maria’s Memo”. Jascin, thanks for the great review! 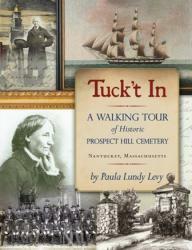 Tuck’t In: A Walking Tour of Historic Prospect Hill Cemetery Nantucket, MA. Tuck't In is a who's who of Nantucket history! 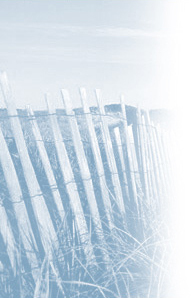 Learn about Nantucketers and the lives they led, from the simple to the extraordinary. The chronicles include whaling captains, mariners lost at sea, merchants, writers, artists, educators, Civil War veterans and prisoners. Nantucket notables such as a congressman, distinguished astronomer and Nobel Prize recipient are all buried at Prospect Hill. The chronicles emanate from diaries, personal letters, memoirs, historic and contemporary images, newspaper accounts and extensive historical research. There is intricate mapping of the property with full maps and reference by chronicle. There is an index by name and by lot number. Numerous accounts have the subject's own voice or a contemporary of the individual recounting the narrative. Prospect Hill Cemetery, where a small burial ground can bring an island community's history together. Tuck't In: A Walking Tour of Historic Prospect Hill Cemetery Nantucket, Massachusetts can be purchased at Mitchell's Book Corner, Nantucket Bookworks, the Nantucket Historical Association's Whaling Museum Gift Shop, Nantucket Maria Mitchell Association Gift Shop or contact Prospect Hill Cemetery. “A New History of Prospect Hill Cemetery” page 23. June 16, 2013, Maria Mitchell Association and Prospect Hill Cemetery Hadwen stone cleaning demonstration with Preservation Institute Nantucket students courtesy of Maria Mitchell Association facebook page. To view News and Press Releases from Prospect Hill Cemetery please click on the Archives: Search below. Work Has Begun at the Mitchell Lot at Prospect Hill Cemetery!